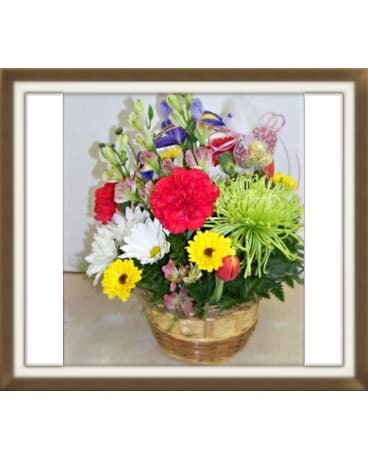 A GREAT 2 IN 1 GIFT FOR AN ANNIVERSARY OR OTHER SPECIAL OCCASION. 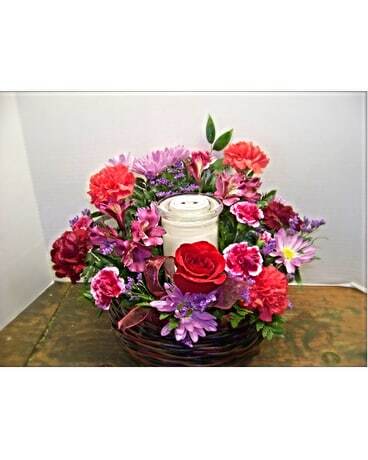 A "KRINGLE" JAR CANDLE WITH A MIX OF FLOWERS INCLUDING A ROSE IN THE COLORS OF LOVE. 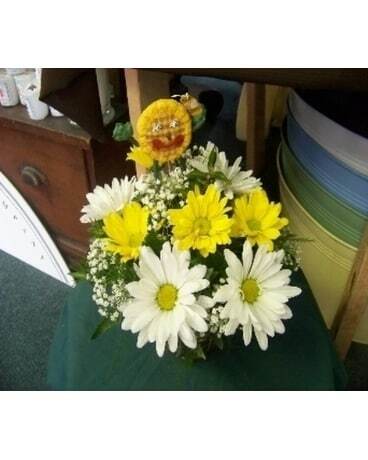 SEND THIS BASKET ARRANGMENT TODAY TO KEEP YOUR LOVE BURNING.